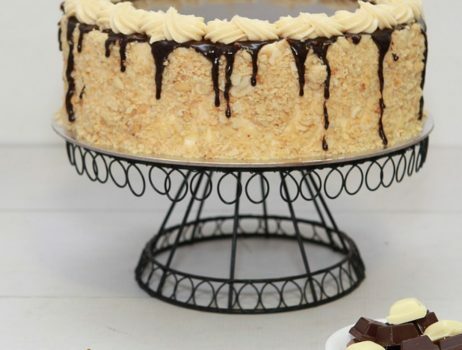 Home Eating out SnapHappy Foodie turns 5! 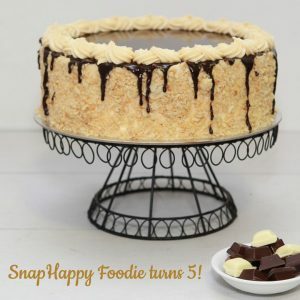 Just like that *snaps fingers*, my blog SnapHappy Foodie turns 5. I completed another year of eating, cooking and blogging. Last year, I had perfectly good intentions and good plans for this blog, but life threw a monkey wrench into my plans. What actually happened? There were longer periods of blog silence last year than blog posts. Naturally, I felt bad for neglecting my blog. Then I went to check my friends’ blogs and saw that their blogs haven’t been updated either. It wasn’t just me. Maybe 2018 wasn’t so friendly to others too. Mind you, it wasn’t for lack of stuff to write about. I’ll eat somewhere with really good food, and I’ll think, “this should go in my blog!” I write little notes. Sometimes I even type it up on WordPress. But when it’s time to press publish, I’d pause, wondering what difference does it make. I do know that it’s part of my grief over losing Zack. You read about a pet’s unconditional love, and you scoff thinking, “yeah right”. But if you have a pet, you don’t know how good you’ve got it until it’s gone. With Zack, I don’t have to do anything, to be anything. I’m just myself, and that’s perfectly alright with him. He was happy to eat, play, walk and hang out with us. On the other hand, people make demands on your time, attention and affection without considering if you’re demanding their time, attention and affection. You can love them till your heart bleeds, but it doesn’t make a difference. Yet amidst all that, it also became apparent who were the superstar friends in my life, the ones who got my back, the ones who were golden. Sure, I could’ve swept things under the rug, acted as if everything was alright, but when has that ever worked for anyone? The best thing is always to be true to yourself and how you feel, so you can figure out how you can cope. So despite having so few posts this year than in previous years, I still pat myself on the back. At least I managed to share our travels to Sagada, Mountain Province. . .
. . . as well as Legazpi City, Albay where we finally saw magnificent Mayon Volcano and ate the very tasty Bicolano cuisine we’ve been wanting to try. We also went to Baler, Aurora, plus a weekend getaway to both Ilocos Norte and Ilocos Sur. Add to that going to and fro Baguio City in Benguet. Hubby and I called our trips “filling the void”. Did we miss our little guy any less? No, but the trips weren’t meant to make us miss him any less. It was just a way of coping. Hubby and I also ate at so many new restaurants, and I managed to blog about a few ones like Nono’s, The Fat Seed Café + Roastery, Sulyap Gallery Café, Chateau Hestia Garden Restaurant, and Burrow Café @ Antipolo Beehouse. Thankfully, I was pretty active in Instagram, so that’s a good thing. There were food events that I went to, but only wrote about “Savour Planet: Cooking with a Purpose” and World Food Expo. Even if I’ve been on hiatus, I’m still thankful for those of you who continue to see what’s happening here. Anyway. . .